30kW ErP – Condensing Combi Boiler. The all new Worcester Greenstar gas-fired Si Compact is the successor to the Greenstar Si combi boiler. Flexible payment plans available to UK customers ONLY; if installed by Limegreen England and Wales Ltd. Conditions apply. The company was founded in 1962 by Cecil Duckworth as Worcester Engineering Co Ltd in Worcester, England. After changing its name to Worcester Heat Systems Ltd, in 1992 the company was acquired by Robert Bosch GmbH, adopting the new name of Worcester, Bosch Group. The headquarters is based in Warndon. The company employs more than 2,000 people across the headquarters and manufacturing plants in Worcester and Clay Cross, Derbyshire, including a network of over 300 service engineers and over 80 technically trained field sales managers. BEST Products from the BEST Brands at the BEST Prices available in your market. Special prices for bulk purchase. The perfect solution for your central heating needs. 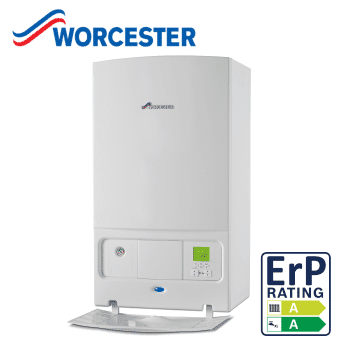 BUY NOW Worcester Bosch Greenstar 30i Combination Boiler Natural Gas ErP!